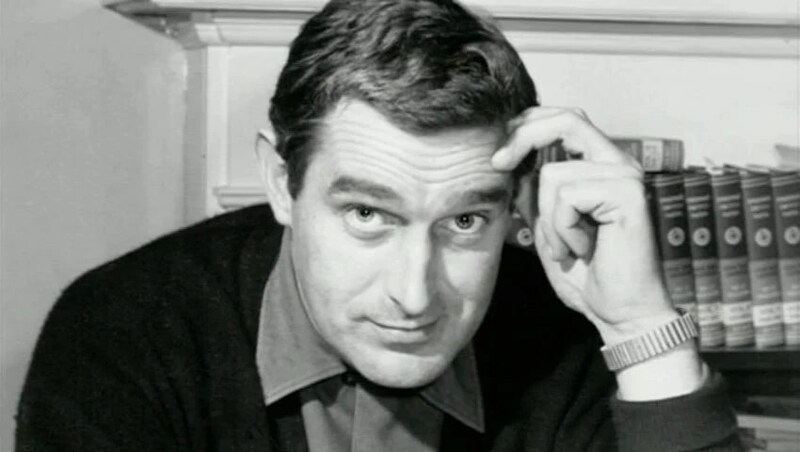 In 1966 Terry Nation, the creator of the Daleks took the famous pepper pots out of the show that had spawned them to star in their own series. “The Daleks” which was broadcast from 1967-1969 was a joint production between NBC in America and the BBC in the United Kingdom. The series was marketed as the “anti Star Trek” and revolved around a group of mercenaries from the planet Desperus led by commander Rebecca Tarrant. The mercenaries were promised their freedom if they helped to repel the Dalek empire. Many commented that the series was kind of like a “dirty dozen” in space. Though it’s somewhat more shady characters was intended to contrast it with “Star Trek” which had just begun to broadcast before it, it did still take its cues from “Star Trek” to some extent with the character of Mark Seven an android being very heavily modelled on Mr Spock. Over the course of the series a romantic relationship between Mark Seven and Tarrant was teased, but never realized. 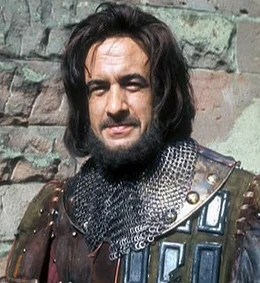 Though Tarrant was intended to be the lead of the series, the most popular character by far was the scheming self server Kerr Vabor, who stole the show not only from Tarrant but arguably the Daleks themselves. 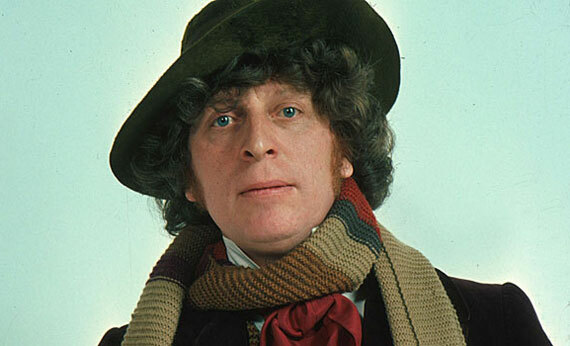 The show never featured the character of the Doctor at all, but it followed on from the end of “The Evil of the Daleks” and featured the Daleks returning after having believed to have been exterminated years earlier in a civil war. It also featured several humanized Daleks too who had survived the civil war and became popular recurring characters helping the team from time to time. 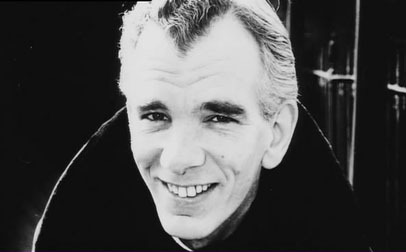 The series was script edited by future Doctor Who writer Robert Holmes. Holmes apparently hated the Daleks, but nevertheless agreed to take the position as script editor because he found the human characters to be very interesting and also because as he later joked “he needed the work”. Still despite this Bob Holmes found it difficult to write for the Daleks and he and Nation in order to overcompensate for this created a pair of scheming traitors who were working with the Daleks. David Whitaker another writer from Doctor Who also wrote regularly for the series. He even reused a lot of the material he had written for the TV Century 21 comic. One story written by Whitaker titled “Daleks: Genesis of Evil!” which again was adapted from the TV Century 21 comic showed the origin of the Daleks and featured Zolfian and Yarvelling as their creators. This story would later be contradicted however by “Genesis of the Daleks” in 1975, leading most fans to consider this series not canonical to the rest of Doctor Who. 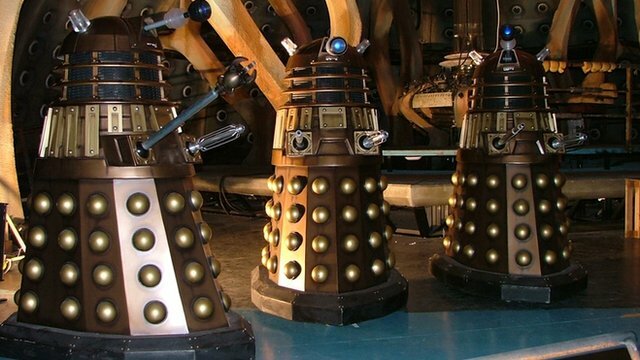 However there have been attempts to fit both origins for the Daleks into established canon. The series was originally to have starred Sara Kingdom from “The Daleks Master Plan” and her brother David Kingdom, with Jean Marsh reprising her role, however Marsh proved unavailable and so the character of Tarrant was created instead. The show proved popular running for three years before being cancelled. Many have praised its darker tone and stories and willingness to kill of its main characters. Many also praised it for reversing the stereotypical gender roles with the character of Tarrant being described as a strong, non sexualized, fantastic role model for young women of the 1960’s. 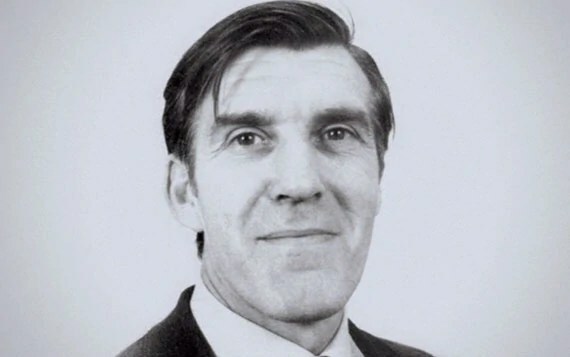 However there has been some criticism at the way Robert Holmes wrote the Daleks, with many believing he wrote them to be too emotional compared to their appearances in “Doctor Who”. Others have also accused the show of racism as well. 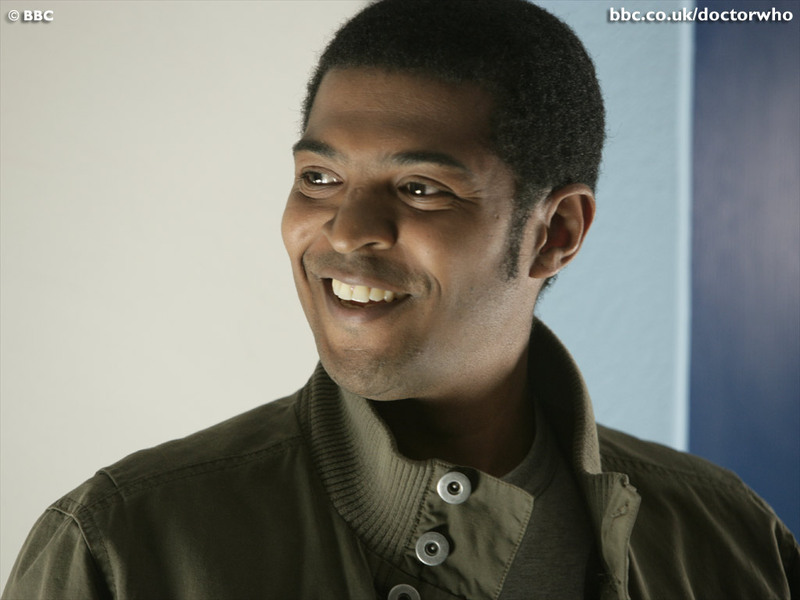 The character of Mark Seven was played by an African American actor and though at the time many praised the show for giving a black actor such a strong leading role (in comparison to Star Trek which mostly pushed its single black character Uhura into the back ground.) However still many saw it as racist that he was playing a non human character and others also saw the fact that his interest with Tarrant who was played by a white actress was portrayed as a forbidden love. Due to the fact that he was an android, as a metaphor for interracial relationships being wrong. Others however have said that this was not the intention at all and have even argued that their relationship being portrayed as forbidden love was a clever metaphor for prejudices against interracial relationships instead. 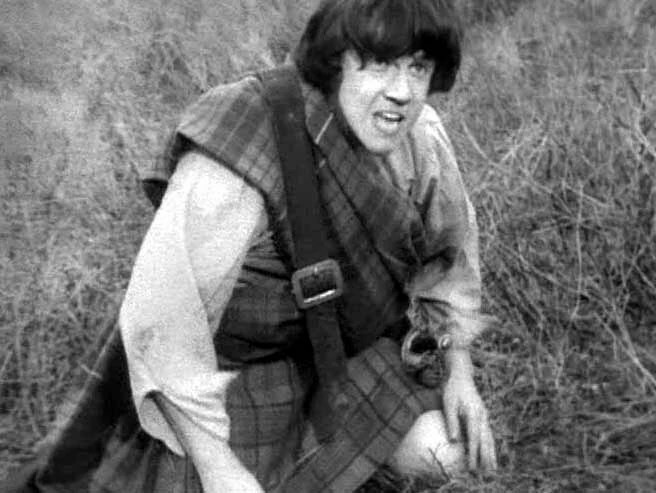 “The Curse of the Laird of the McCrimmon” was the second spin off from Doctor Who and followed Jamie’s adventures after the events of the War Games. 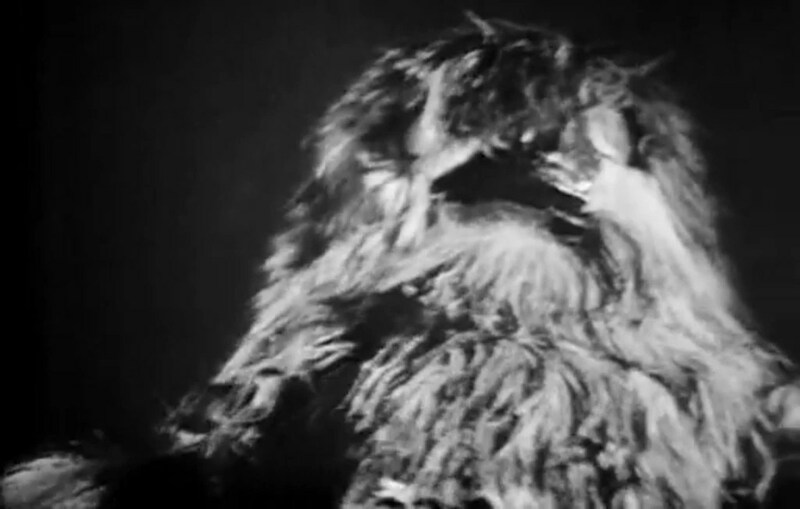 The first episode of the series saw The Great Intelligence and the Yeti arrive on earth. 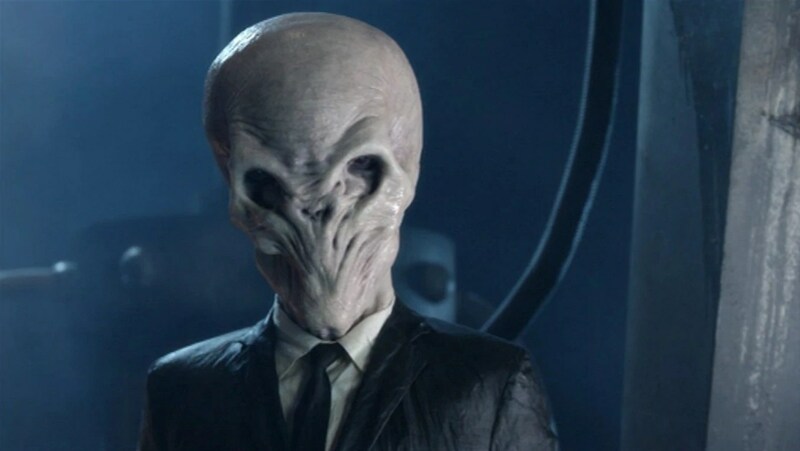 With the Great Intelligence having unknown to the Doctor managed to have absorbed his knowledge of time travel at the end of “The Web of Fear”. After battling with the Yeti and managing to defeat them, Jamie began to regain some of his memories of travelling with the Doctor and his missing memories and desire to regain all of them formed part of a story arc throughout the series. The show was more adult and grimmer in tone, featuring spooky, atmospheric ghost stories in the foggy Highlands of Scotland. Though it never ventured into total fantasy territory, with the ghosts and other supernatural creatures always being given rational explanations in the end. Actress Caroline Munro was cast as Jamie’s love interest, however she was later revealed to be a pawn of the Great Intelligence. The Great Intelligence was the main villain of the series. The final episode of the series saw Jon Pertwee guest star as the Doctor. The Doctor had arrived to pick up Jamie as his companion again now that his exile had been lifted he wanted to travel with Jamie and Zoe again. Jamie would regain all of his memories and he and the Third Doctor were able to finally defeat the Great Intelligence once and for all. The third Doctor would then take Jamie on as his companion again with the two of them also intending to pick up Zoe next and resume their travels together. The intention was that Jamie would reappear in Doctor Who as a regular again after this as would Zoe. However sadly both Frazer Hines and Wendy Padbury were busy with other commitments, with Hines having just been cast in “Emmerdale Farm”. Thus neither were able to return to the show and when the Doctor next appeared in “The Time Warrior” he was alone with no mention of either Jamie or Zoe. As a result of this most fans do not consider the series to canonical to Doctor Who. There have been attempts to fit it in however in spin off material and there was even a Big Finish series produced featuring the Third Doctor and Jamie which is set between the end of the series and The Time Warrior. The series was very popular when it first aired and remains so to this day. It is the third longest running Doctor Who spin off having ran for 4 years. 8/ Linx and Irongron, Time Warriors. This series was a sequel to the 1974 classic “The Time Warrior”. Originally Bob Holmes had been lined up to script edit the series, but he was unable to due to just having accepted the position as script editor of Doctor Who itself! Thus Chris Boucher, Holmes’s friend was chosen as script editor instead, though Holmes would still write extensively for the series. The premise for the show saw both Linx and Irongron somehow survive their fates at the end of “The Time Warrior”. Now with no way off of the earth Linx is forced into an alliance with Irongron to survive on this strange new world. The two characters were very much portrayed as villain antagonists, though often they were able to get around this by portraying the people they fought, which included everything from corrupt and insane monarchs, witch finders, aliens and bandits as being worse than they were. Peter Cushing starred as the main villain of the series, a brutal and evil witchfinder who in his first appearance attempted to burn Linx to death for being a sorcerer. Cushing’s character would pursue the two time warriors throughout the remainder of the series. The final episode of the show saw Linx become the saviour of his adopted planet when he and Irongron fought off a Rutan invasion of earth. The show was really really a replacement for “The Curse of the Laird of the McCrimmon” being another historical spin off from Doctor Who. Though not quite as popular as other Who spin off’s the show still received great acclaim for its witty dialogue and black humour. “Leela The Warrior Princess” was Doctor Who’s longest running and most successful spin off. The series saw Leela leave Gallifrey after it is invaded by a hostile race of aliens and her time lord lover is killed and K9 is destroyed. Leela leaves with Susan who has been captured by the time lords from Earth and put on trial for interfering in the affairs of other life forms just like her Grandfather was. Susan has outlived David whom she was never able to have children with on the earth, and thus is happy to explore the universe with Leela. Susan served as the brains of the operation and piloted their stolen type 20 TARDIS whilst Leela was obviously the muscle. The two would often clash, with Susan being even more disapproving of Leela’s violent methods than her grandfather had been. Still despite this the two were shown to have a very close bond with one another and the show pushed the boundaries by strongly implying that there was a romantic relationship between the two. The duo’s archenemy was another renegade time lady called “The Controller” who was originally played by Sian Phillips, before her character regenerated after which she was played Eleanor Brom. Though the Controller proved popular many villains from Doctor Who still appeared in the show too. Among them included The Master. The Master in this series was portrayed by Vincent Price and was still shown to be in his emaciated form. This series also saw a guest appearance from the Doctor himself, becoming the first spin off to do so, in a story which saw the Master capture Susan and brainwash her into attacking the Doctor and Romana 1. “Leela The Warrior Princess” ran for 8 seasons before being cancelled. Though many look on the show as being somewhat camp and silly, the character of Leela remains a very prominent feminist icon to this day. Jago and Litefoot was a short lived Who spin off that focused on the two characters from the Doctor Who story “The Talons of Wieng Chiang”. The series was produced by Phillip Hinchcliff. Though it got strong reviews its ratings were low so it was axed after just two years. The Doctor appeared in this series in a three part story which saw him face the deformed Master in the sewers of old London, with the deformed Master once again being played by Vincent Price. This was the only spin off series produced during the shows wilderness years. 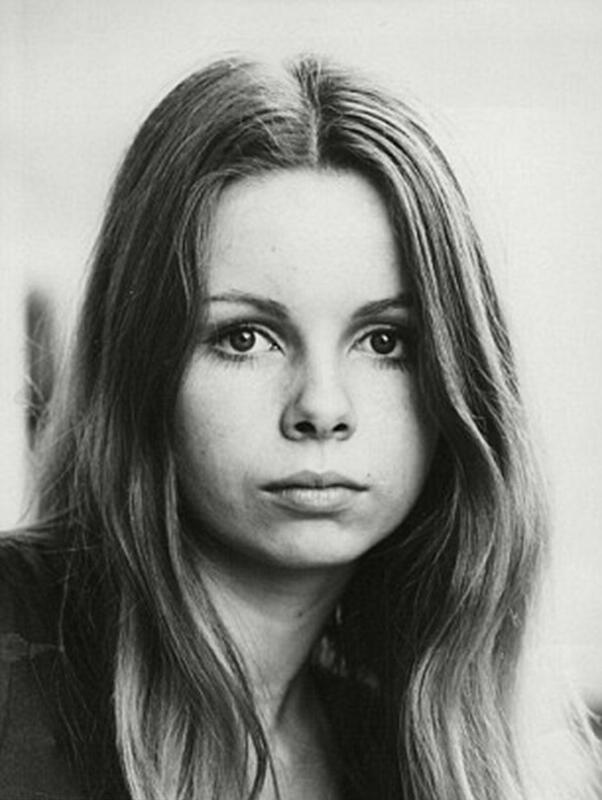 The series starred Lalla Ward as Romana and featured her attempts at preventing a war between the Daleks and Gallifrey. The series proved to be popular, though the BBC were worried that it would be too niche to attract an audience, it nevertheless helped to reinvigorate interest in Doctor Who among the general public and there are many who believe had it not been for the success of this series then Doctor Who would not have been able to return to our screens in 2005. 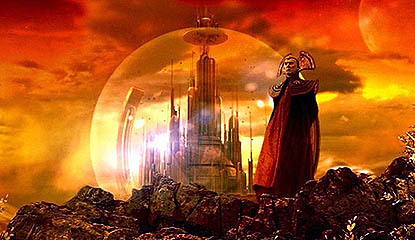 Though Gallifrey’s story was never resolved on screen it would later be continued in the revival of Doctor Who itself when we saw that Romana’s attempts to prevent a war had failed and the Daleks had apparently destroyed Gallifrey in the “Time War. This spin off did not take the form of a regular series, but rather 3 holiday specials. 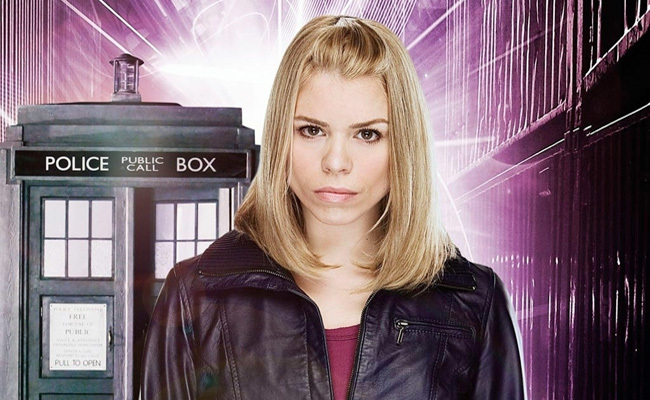 Its premise saw Rose Tyler defend the parrallel world from all kinds of threats along with the help of Mickey Smith and Jackie Tyler. There was much criticism of the specials, with many believing that Russell T Davies had gone too far in giving Rose her own show and that it diminished the tragic ending of Doomsday by allowing the audience to still see Rose all of the time when the Doctor couldn’t. 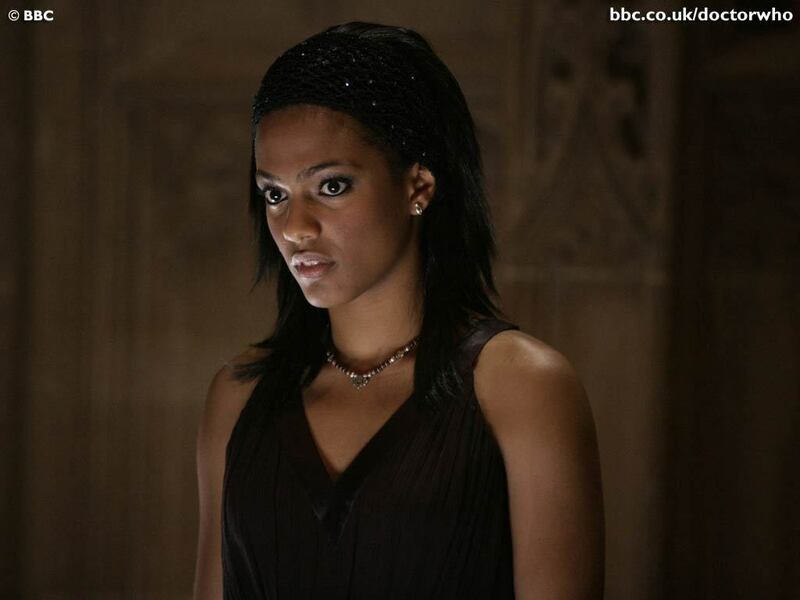 Some fans joked however that Rose had already got her own show when she was in Doctor Who. Nevertheless the specials were ratings success’s, but after Rose’s appearances in Doctor Who series 4 it was decided to end the series. “Martha and Mickey” originally called “Smith and Jones” is the shortest lived Doctor Who spin off. Though it was popular it only lasted 1 series before finishing. This was due to stars Freema Agyeman and Noel Clarke’s busy schedule’s. There have been plans for work on the series to resume, but sadly that doesn’t seem likely. 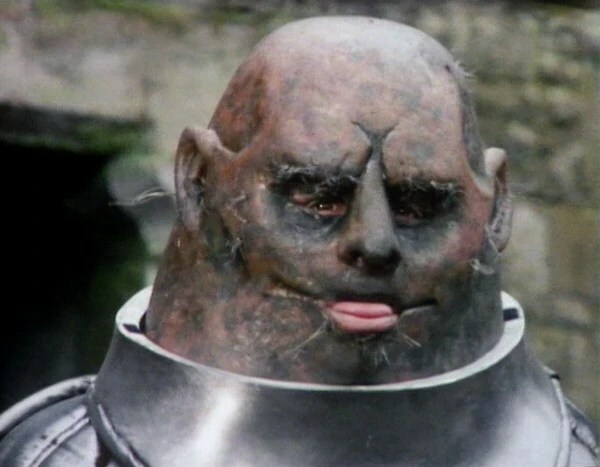 The first season of the show saw both Martha and Mickey battle Sontaran commander Stral played by Christopher Ryan who had been responsible for the Sontaran invasion seen briefly in “The End of Time”. The show also featured a guest appearance by Liz Sladen in one of her final appearances before her tragic passing. The 11th Doctor and Amy Pond also made a guest appearance too. Sadly however it appears the show has finished, though fans still remain hopeful that it might one day return. “River Song, The Time Travellers Wife” only ran for two series. Steven Moffat who credited the series, but did not produce it due to his commitments to Doctor Who has said the show was only intended to run for 2 years and tie up Rivers story. The series saw River in her later years as an archeologist and has been described as a “space Tomb Raider”. The Silence and Madame Kovarian were the main villains of the series. They attempted to murder River Song in an effort to try and erase knowledge of them from the universe. The final episode of the series featured a guest appearance by Matt Smith and saw 11 and River go on the final holiday that River described in her first appearance in Doctor Who. Though the show was well recieved there were still many who accused Moffat of sexism, pointing out that the title of the show referenced the fact that River was the Doctors wife. They argued it did not help River stand out as a character in her own right arguing that it would be like if Angel had been called “Buffy’s boyfriend”. 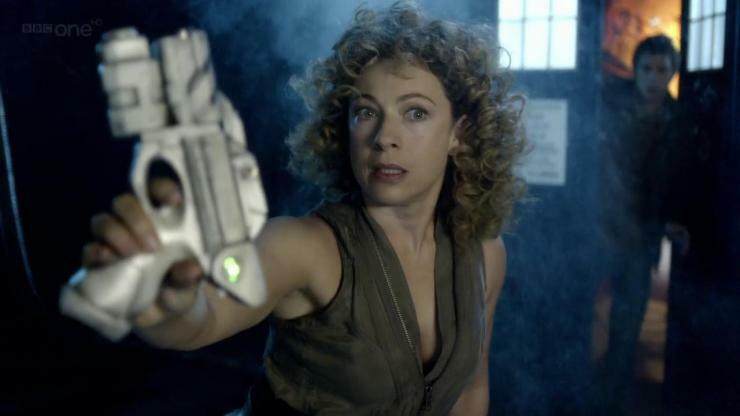 Moffat however dismissed these claims stating that the title was simply a reference to the book that had inspired the character of River Song in the first place. The latest Doctor Who spin off that is still going on as of the writing of this article. “The Paternoster Gang” was created by Steven Moffat, but overseen by Mark Gatiss. The show follows the immensely popular three characters from Doctor Who batlling aliens and villains in 19th century England. 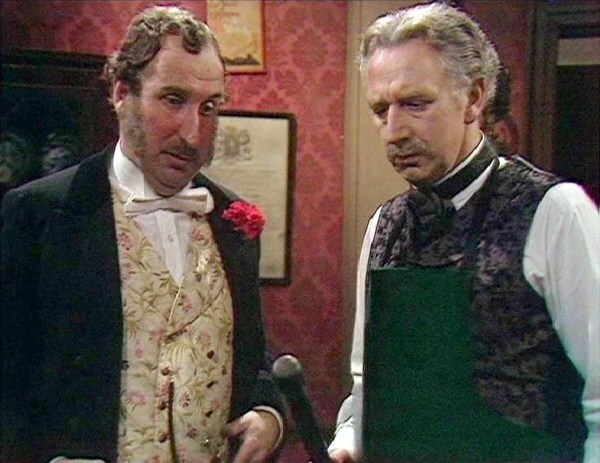 Many have compared it to the previous Who spin off Jago and Litefoot” due to its Victorian Setting. 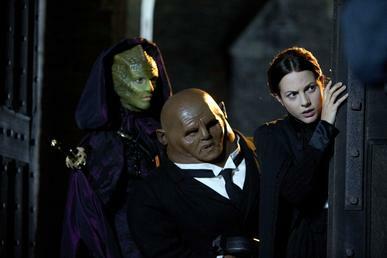 The series has incorporated some aspects and characters from Sherlock Holmes stories, with it having already been established that Vastra’s adventures inspired Holmes’s stories. The first season saw Vastra battle a Sea Devil who planned to wipe out humanity who went by the alias of “Moriarty” played by Sarah Parish. Though the show has proven to be very popular, it has also recieved much criticism too. Many have accused Gatiss and Moffat of being unoriginal by producing yet another series based on Sherlock Holmes, whilst others have also accused Moffat of replacing RTD’s spin off series with his own in an effort to destroy Davies’s Who franchise and replace it with his own. Even though the ending of Torchwood and the Sarah Jane Adventures has nothing to do with Moffat. 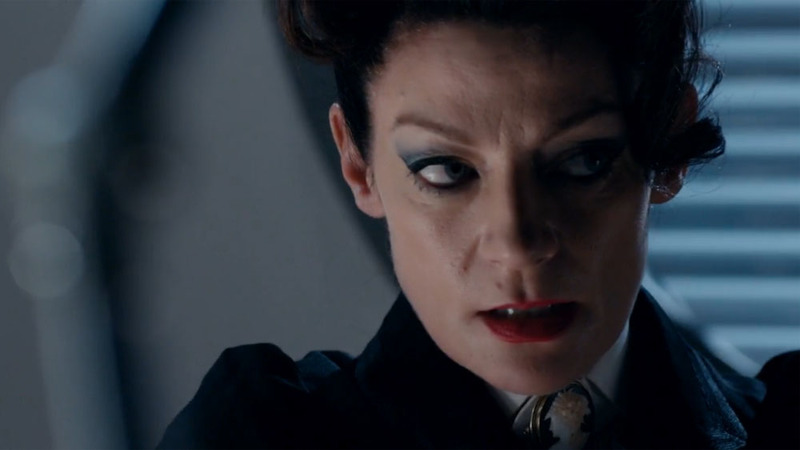 The series will be entering its second year in 2015 where it is believed that Missy will appear and form an alliance with “Moriarty”.